Prolotherapy is a nonsurgical treatment used to strengthen and tighten the ligaments and tendons that hold bones and muscles in place. Through a series of injections that stimulate the body's natural healing response, prolotherapy restores proper joint alignment and relieves pressure on sensitive tissues. The end result is dramatic and lasting pain relief. If you suffer from back pain, sciatica, unresolved whiplash, a nagging sports injury, or any type of joint pain, you could benefit from prolotherapy, also called regenerative injection therapy. Prolotherapy relieves musculoskeletal pain by addressing it at the source: weakness in the ligaments and tendons. Ligaments and tendons are tough, fibrous bands of tissue that connect bone to bone, or bone to muscle. They are the stabilizers of the musculoskeletal system. As long as they are strong and taut, they keep bones, joints, and muscles in place, allowing for pain-free smooth movement. However, when the ligaments and tendons become injured, weak, or lax, these other structures become unstable and move out of position. The resulting misalignment impinges on nerves and blood vessels, damaging tissues and causing pain. Lasting relief can only be obtained by restoring the proper alignment to these structures and taking the pressure off sensitive tissues. 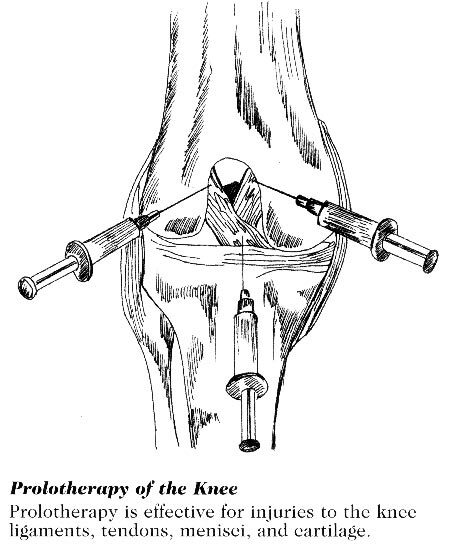 Prolotherapy involves injections of a mildly irritating solution into the painful area. The irritant, usually a dextrose-based solution, triggers the body's natural healing response and causes the proliferation of new collagen fibers, which are the building blocks of ligaments and tendons. 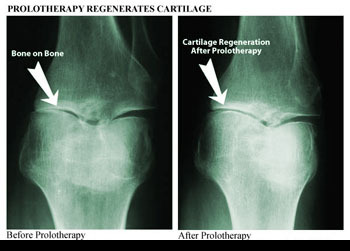 (The "prolo" in prolotherapy stands for proliferative.) As tissue growth continues, the ligaments and tendons become thicker and stronger, regaining their ability to stabilize the joint and take the pressure off sensitive nerve endings. Pain subsides, range of motion returns, and cartilage degeneration slows down. Sometimes one treatment is enough to achieve complete pain relief, but it usually takes several treatments, administered a week to a few weeks apart, to produce sufficient collagen growth to relieve pain and restore normal function. Used with permission from Ross A Hauser, MD, www.caringmedical.com. How Does Prolotherapy Compare to Drug Therapy? The most commonly used drugs for musculoskeletal pain are prescription or over-the-counter nonsteroidal anti-inflammatory drugs (NSAIDs). As their name suggests, NSAIDs relieve joint pain by countering inflammation. Unfortunately, because inflammation is the first stage of your body's healing process, these drugs may hinder recovery. NSAIDs are notorious for their gastrointestinal side effects and they actually destroy cartilage, the cushioning material that protects joints. Most important, NSAIDs do nothing to address the underlying laxity of ligaments and tendons which is the source of chronic pain. For more severe or chronic musculoskeletal pain, doctors sometimes prescribe corticosteroids. Like NSAIDs, corticosteroids work by countering inflammation.  However, they also suppress immune function, increasing your susceptibility to infection and interfering with healing. Long-term use of these drugs is associated with an increased risk of high blood pressure, osteoporosis, and vision problems. Unlike anti-inflammatory drugs, prolotherapy does not mask pain. Instead, by correcting the underlying problem, it eradicates it. This extremely safe therapy has none of the risks of NSAIDs and corticosteroids, and its only side effect is mild discomfort during the first few days of healing. George Hackett, MD, published the results of a research study involving 656 patients with chronic low back pain treated with prolotherapy. The average duration of pain prior to treatment was 4.5 years, although some patients had been suffering for as long as 65 years. About half of the patients had already undergone back surgery without success. 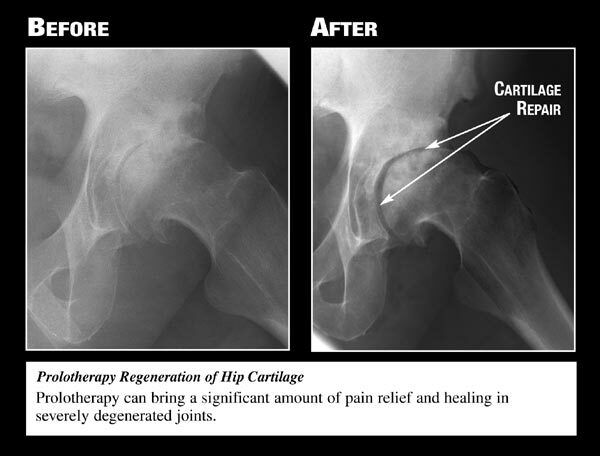 After 12 years of treatment with prolotherapy, 82 percent of Dr. Hackett's patients considered themselves cured. In other words, their pain had been eradicated and had not returned. — Hackett, G. Ligament and Tendon Relaxation Treated by Prolotherapy, 3rd edition. Springfield, IL: Charles C. Thomas, 1958. In a study published in the prestigious British medical journal, The Lancet, 81 patients with chronic low back pain were randomly assigned to receive either prolotherapy injections or injections of saline (an inactive placebo). Six months after treatment, 87.5 percent of those who had received prolotherapy were rated as being more than 50 percent improved, compared to only 39 percent of those in the placebo group. Furthermore, almost four times as many patients in the prolotherapy group were completely free of disability as in the placebo group. — Lancet, 1987; 2(8551): 143-6.